Interweave has relaunched what is my favorite of their magazines, knit.wear. Premiering in Fall of 2011, the designs and aesthetic have always had that very clean, modern and sophisticated vibe. The semi annual publication changed its name in Fall of 2014 to knit.purl, but now has returned to its original name. 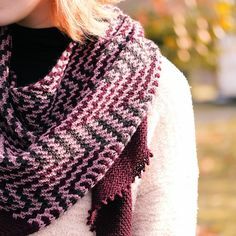 The new issue is full of fashion-forward designs, modern technique tutorials and inspiring articles, and includes my Kline Shawl. 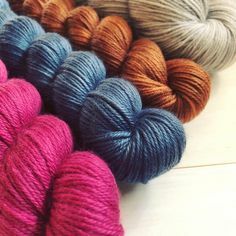 On a personal note, I loved the speckle yarn – which is very on trend, but I wasn’t sure about at all, being a fan of solids and semisolids. It’s madelinetosh tosh merino light in Optic, paired with the vibrant Edison Bulb. The digital issue is available for download from Interweave, or you can order the print publication.